This is going to be a quick intuition about what it means to diagonalize a matrix that does not have full rank (i.e. has null determinant). Every matrix can be seen as a linear map between vector spaces. Stating that a matrix is similar to a diagonal matrix equals to stating that there exists a basis of the source vector space in which the linear transformation can be seen as a simple stretching of the space, as re-scaling the space. In other words, diagonalizing a matrix is the same as finding an orthogonal grid that is transformed in another orthogonal grid. I recommend this article from AMS for good visual representations of the topic. That’s all right – when we have a matrix from in , if it can be diagonalized, we can find a basis in which the transformation is a re-scaling of the space, fine. But what does it mean to diagonalize a matrix that has null determinant? The associated transformations have the effect of killing at least one dimension: indeed, a x matrix of rank has the effect of lowering the output dimension by . For example, a x matrix of rank 2 will have an image of size 2, instead of 3. This happens because two basis vectors are merged in the same vector in the output, so one dimension is bound to collapse. 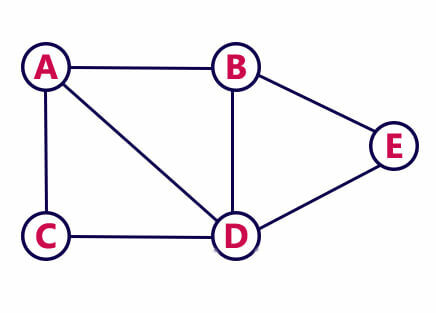 which has non full rank because has two equal rows. Indeed, one can check that the two vectors go in the same basis vector. This means that instead of 3. In fact, it is common intuition that when the rank is not full, some dimensions are lost in the transformation. Even if it’s a x matrix, the output only has 2 dimensions. It’s like at the end of Inception when the 4D space in which cooper is floating gets shut. However, is also a symmetric matrix, so from the spectral theorem we know that it can be diagonalized. And now to the vital questions: what do we expect? What meaning does it have? Do we expect a basis of three vectors even if the map destroys one dimension? Author Stefano OttolenghiPosted on 2019-02-11 Categories Linear algebraTags diagonalizationLeave a comment on Diagonalizing a matrix NOT having full rank, what does it mean? Very quick post on the relationship between , and . I will assume you already know what I am talking about, I’ll just be sharing some intuition on what those mean, but won’t bother with details. It’s more a reminder for me rather than something that intends to be useful, actually, but there’s almost nothing on the Internet about this! When we discover that (continuous functions with compact support) is dense in , we also discover that it does not hold if and . What that intuitively means is that if you take away functions in from , you take away something fundamental for : you are somehow taking away a net that keeps the ceiling up. The fact that it becomes false for limitless spaces ( ) and means that the functions in do not need functions in to survive. This is reasonable: functions in are not required to exist only in a specific (compact) region of space, whereas functions in do. Functions in are simply bounded – their image keeps below some value, but can go however far they want in x direction. Very roughly speaking, they have a limit on their height, but not on their width. The F Value is computed by dividing the value in the Mean Square column for Model with the value in the Mean Square column for Error. In our example, it’s . 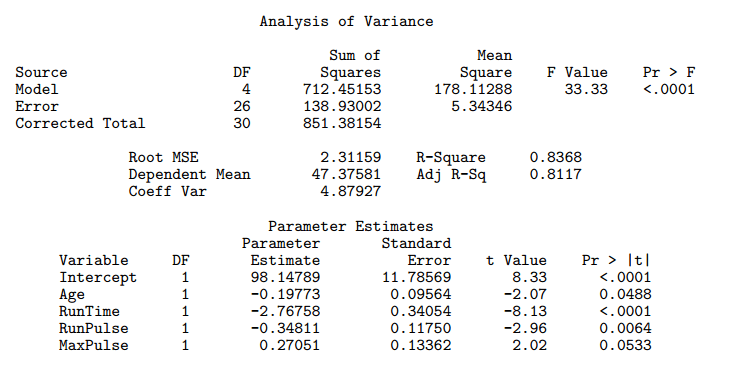 There are two possible interpretations for the F Value in the Analysis of Variance table for the linear regression. Statistical hypothesis testing is really an interesting topic. I’ll just briefly sum up what statistical hypothesis testing is about, and what you do to test an hypothesis, but will assume you are already familiar with it, so that I can quickly cover a couple of A-HAs moments I had. run the test, i.e. numerically say how much probable how observations were in relation to the hypothesis we made. I had a couple of A-HA moments I’d like to share. I realized geometric distribution is not exactly about the time needed to get the first success in a given number of trials. This is a very odd feeling. 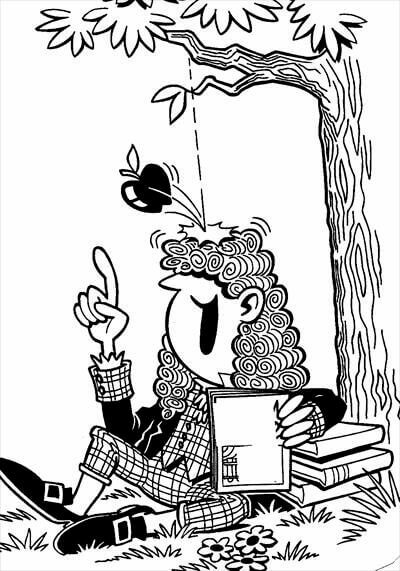 It is probably a feeling applied mathematicians get sometimes, when they feel they are doing the best they can, and yet the theory is not perfect. This may be a naive post, I warn you, but I was really stunned when I realized this. Let’s jump to the point. We know (or at least, I was taught) that geometric distribution is used to calculate the probability that the first success in trials (all independent and of probability ) will happen precisely at the -th trial. How can we relate the above distribution with the fact that it matches the first success? Well, we need to have one success, which explains the at the bottom. Moreover, we want to have just one success, so all other trials must be unsuccessful, which explains the . This article aims at providing some intuition for what random variables are and why random variables are useful and needed in probability theory. Informally speaking, random variables encode questions about the world in a numerical way. How many heads can I get if I flip a coin 3 times? How many people will vote the Democrats at the US presidential elections? I want to make pizza. What is the possible overall cost of the ingredients, considering all combinations of different brands of them? These are all examples of random variables. What a random variable does, in plain words, is to take a set of possible world configurations and group them to a number. What I mean when I say world configurations will be clearer soon, when talking about the sample space (which, appropriately, is also called universe). Author Stefano OttolenghiPosted on 2016-11-24 2016-12-06 Categories ProbabilityTags random variablesLeave a comment on Random variables: what are they and why are they needed? This article aims at providing real world examples and links for overdetermined and undetermined systems of equations. Before starting, we will suppose that all over and underdetermined systems are obtained from square systems which admit one and only one solution (i.e. comes from a coefficient matrix with non zero determinant). When a system of linear equations has more equations than unknowns, we say it is overdetermined. It means what it says: too many rules at once are being imposed, and some of them may be conflicting. Still, it is false to say that an overdetermined system does not have any solutions: it may or it may not. Intuitively, we can think of a system of equations as a set of requests. Imagine you have a group of people in front of you (the unknowns), and you are supposed to give each person something specific to do. If you give more commands than the number of people, then we have an overdetermined system. It is clear that when this happens, at least one person must have received more than one command. However, there are two possible scenarios.